Keep your drinks afloat in arms reach with these fun Inflatable Derby Duck Drink Holders while you’re relaxing in the pool. Designed to fit standard 12 US fl. oz. aluminum cans, plastic bottles or plastic cups, these floating inflatable cup holders are made from premium vinyl (PVC). 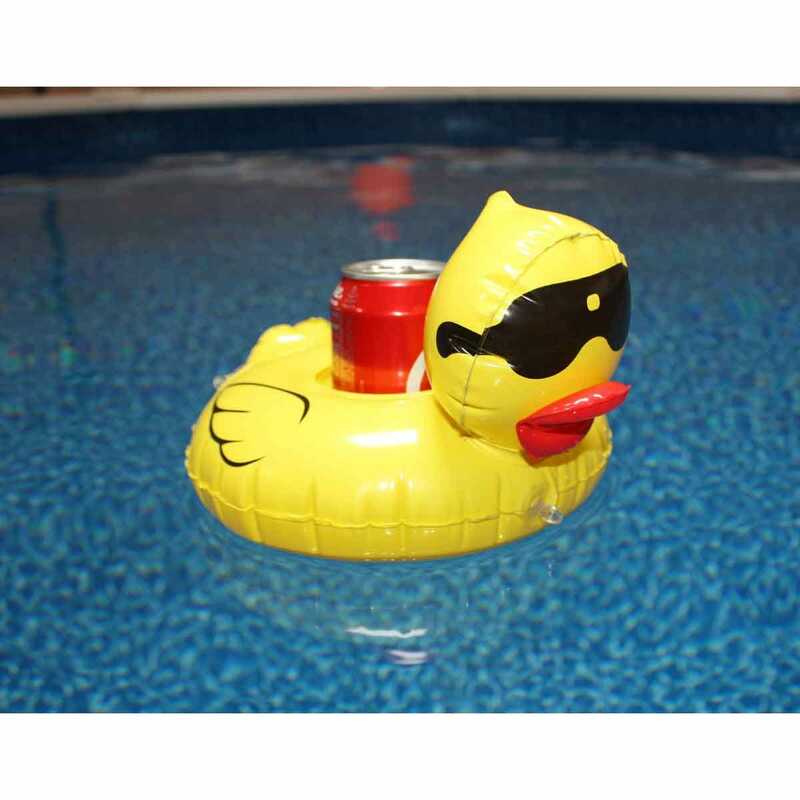 Derby Duck now joins you in the pool as it caddies your drink. Each Holder measures 9”l x 8”w x 6 1/2”h.